A 29-year-old woman has admitted behaving in a threatening or abusive manner at the Borders General Hospital in Melrose. 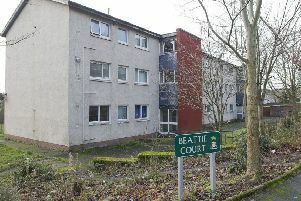 Emma Forrest, of Galashiels, appeared from custody at Jedburgh Sheriff Court to plead guilty to a charge of behaviour likely to cause fear and alarm by threatening to harm herself and others last Wednesday. The court was told that she had become well known to the police and health workers in recent times for behaviour described as attention-seeking. Depute fiscal Tessa Bradley said Forrest “enjoys engaging with police and the health services”. She pointed out that Forrest is due to appear at Selkirk Sheriff Court this week relating to another allegation concerning her behaviour at the hospital back in April. Sheriff Peter Paterson deferred sentence until July 18 for the production of a criminal justice social work report and a restriction-of-liberty order assessment.